I decided to look through my fiber stash for my next spinning project and see what caught my eye, now that I’ve finished the art batts. 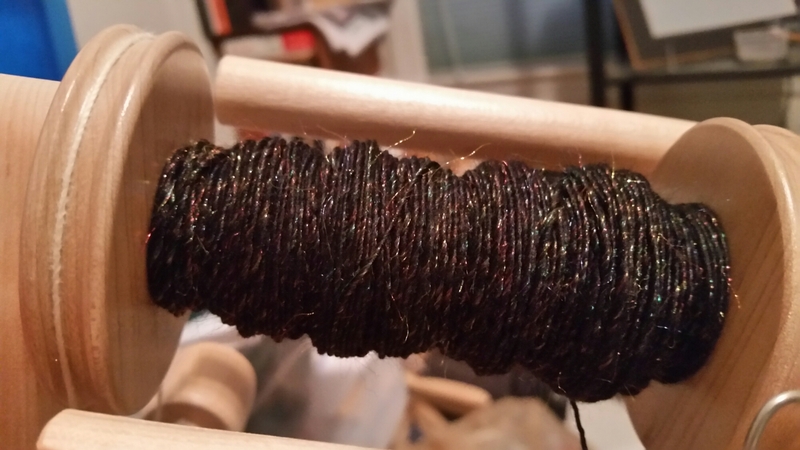 One of the fibers, a blend of merino, bamboo, and firestar, just called right out to me. The wool and bamboo are black, and the firestar is shiny. It’s some of the “incentive” fiber I bought last year at SAFF, so I’d have something to inspire me to keep practicing. It’s a testament to my progress that I am finding it easy – EASY – to spin and way more relaxing than anything I’ve worked on in a WHILE. Dreamy, actually. It’s prepped as pencil roving, which means that basically I can just pick it up and start spinning. No need to divide it out, or worry about weird tangled fibers. Lovely. 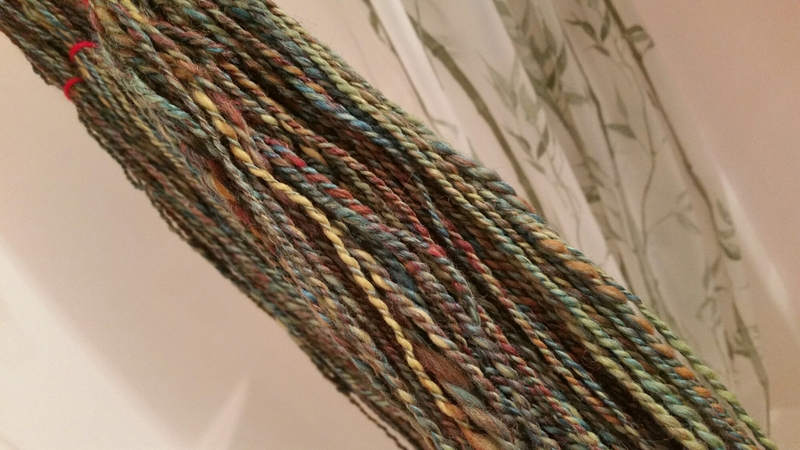 And it’s beautiful as spun fiber. The sparkle is really subtle, I’m not sure if I can take a picture that does it justice but I’ll try. The bamboo makes it really soft. This entry was posted in Art, Fiber and tagged Arts, Bamboo, beginnings, creativity, Honesty, Merino, Spinning. Bookmark the permalink.